Very sweet and typical of the era/genre. Nicely written, if a bit preachy at times. Sadly lacking in actual Girl Scouts however. Sweet storyThe story of a budding friendship and the tenacity of youth. Young Rosanna maintains a beautiful spirit though he life is isolated and lonely. When Helen comes along, the two become fast friends when the opportunity arises. But Rosanna and Helen will find that grown ups don't always understand how truly simple real happiness is to find, and they must battle prejudices to do what is right.This is really a sweet story. The young girls are full of personality, and it's easy to see why they quickly win support from others around them. 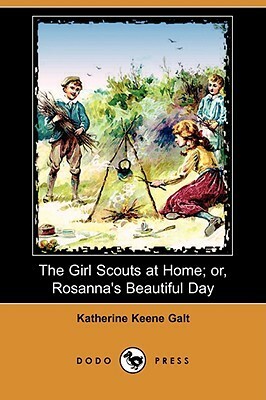 Helen helps Rosanna stand strong in the face of adversity by teaching her the tenets of being a Girl Scout. Watching then reach for their dreams, find comfort in service to others, and build their friendship is a refreshing change of pace.